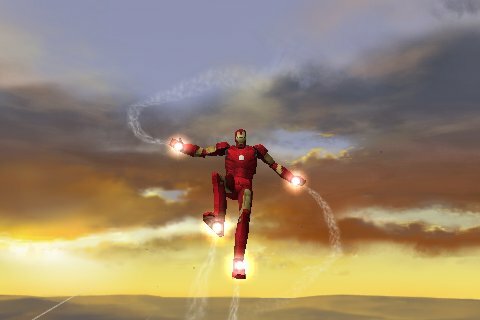 IRON MAN: AERIAL ASSAULT is an action-packed airborne shooter where the player uses the high-powered weaponry of Tony Stark's armor suit to battle IRON MAN's most dangerous enemies. In this special Lite edition, dodge incoming enemy missiles while obliterating attacking aircraft. 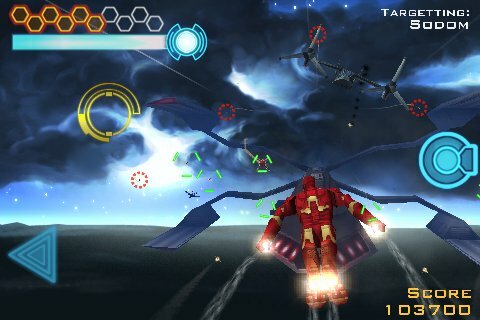 Destroy the menacing bomber and then navigate your way through the opponent's aerial fortresses. 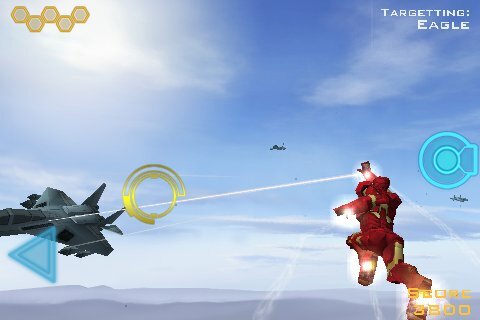 - The Latest Technology: IRON MAN: AERIAL ASSAULT pushes the iPhone and iPod Touch's accelerometer and touch functions to new levels of game play. - High Altitude Battles: Engage a variety of menacing enemies in mid-flight through a series of melee combat quick-time events. 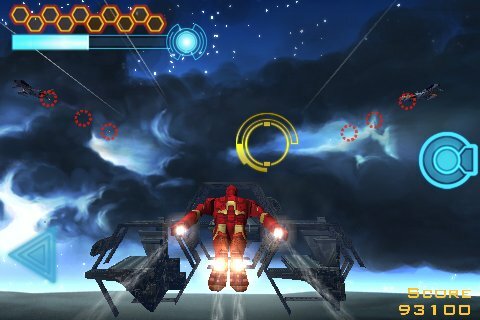 - Explosive State-of-the-Art Weapons: Including repulsar blasts, lasers, missiles, and IRON MAN's distinctive Unibeam. Arsenal buttons fire weapons with the touch of a thumb. 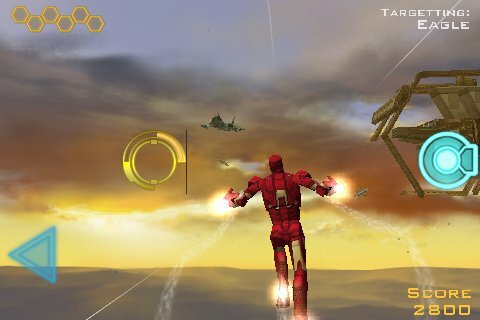 Buy the full version of IRON MAN: AERIAL ASSAULT to experience the full action-packed game on the iPhone and iPod Touch! Also be sure to check out the movie again on the movie download section of iTunes!